Start by warming up your engine for approximately 3 minutes so the engine oil gets warmed up and can flow out of the engine easily. When motor oil it’s slightly warm shut off the engine. 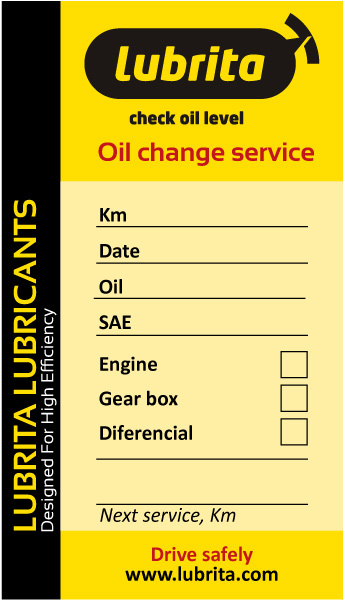 Then, follow these steps to change your car oil properly. 1. Look under your car to find the drain plug. The drain plug is a large nut or plug located under the oil pan at the bottom of the engine. If you can’t reach your oil drain plug easily, you’ll have to either crawl under your car to reach it or jack up the car. 2. Push a container under the oil drain plug. You want this container to catch the oil, so make sure it’s big enough. Take care about environment and follow waste oil utilization government instructions. 3. Unscrew the oil drain plug. Protect your hand with a rag or some paper towels, and be ready to move your hand out of the way. The oil now drains out of your engine into the container can be hot. 4. Remove the cap from the oil filler hole at the top of your engine and unscrew the oil filter, using a wrench if you can’t do it by hand. To unscrew the filter, twist it counterclockwise. The filter will have oil in it, so be careful not to spill it when you remove it. If any remnants of the filter’s rubber seal remain on your engine, remove them. 5. Empty the oil from the filter into a drain pan. After the filter is empty, wrap it in newspaper and set it aside to take to a recycling center with your old oil. 6. Open a new bottle of oil and dip a finger into it. Use the oil to moisten the gasket on the top of the new oil filter. 7. Screw the new filter into the engine where the old one was. Follow directions on the filter, or turn it gently by hand until it “seats” and then give it another three-quarter turn. 8. Wipe around the place where the oil drain plug goes. Do this step only after all the oil has drained out. 9. Replace the oil drain plug and use an adjustable wrench to tighten it. If your vehicle uses an oil drain plug gasket, make sure the old one has been removed and lay a new gasket on the pan before you replace the plug. 10. Use a funnel to pour all but 1 quart of the fresh oil into the oil filler hole. Pour slowly to allow the oil time to run down. 11. Replace the oil filler cap and run the engine for 30 to 60 seconds. Check for leaks from the oil drain plug and around the filter. 12. Shut off the engine and wait 5 to 10 minutes for the oil to settle into the oil pan, and then check the oil level again. Remove the oil dipstick, wipe it with a clean, lint-free rag, and shove it back in. Pull it out again and check it. 13. Keep adding oil a little at a time. Check the stick after each addition until you reach the “Full” line on the dipstick. 14. Remove the drain pan from under the vehicle and give the car a test drive. Go around the block a couple of times. 15. Let the oil settle down again for 5 to 10 minutes, then recheck the dipstick. If it’s still at “Full,” you’re good to go! Dispose of the old oil by taking it to an auto parts store or other oil-recycling center.